Mayors, council members, sheriffs and police chiefs were elected and appointed to carry out the laws of their respective constituencies. It is true that the constituency of our local sheriff only intersects the national constituency in a very small degree. It is also true that undocumented persons in Park City are not entitled to vote legally for sheriff and so, are not the constituency of our sheriff. 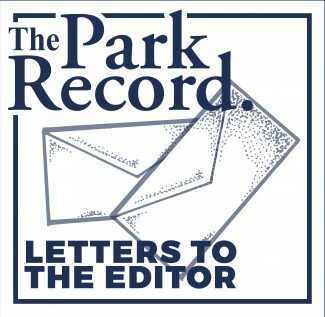 Thus, it is ironic that our sheriff, with the enthusiastic support of The Park Record editorial staff, would identify more with those who are not his constituents than those who are fellow U.S. citizens. I count among my friends an undocumented couple with three children born in the U.S.A. While he would hate to go back to Mexico, he respects the rule of law here—which is why he came here in the first place. Neither of us believes, however, that Trump intends to create a deportation force to deport him and millions like him. The level-headed response to the coming change in immigration policy is to wait and see, rather than declare resistance in advance. Anyone with an ear has heard it said that Trump’s supporters took him seriously but not literally, whereas his detractors took him literally but not seriously. Let us all calm down and get back to work, hopefully in a growth economy. Girl Scout Troop 2471 would like to offer a heartfelt thank you to Eccles Paving, Home Depot Park City, Park City Nursery, Pilkington Metal Finishing, Rockscapes, and USANA Health Sciences. These companies and the volunteers contributed their time and efforts to our Silver Award Project of renovating the National Ability Center’s sensory garden in Park City. Our hope was to create an environment that is fun and welcoming to the many programs the National Ability Center runs. Without the help of these companies, we would not have been able to create such a wonderful place for the guests who use it daily. Again, thank you for your generosity. You guys rock! After the months of mud slinging in the political arena we have all grown tired of the negative sentiment in our society. It would be nice to here something more positive. Well, let me try. Recently I had the occasion to experience the other side of this coin. Driving home from work my gas pedal suddenly went soft and I determined the cable had disconnected or broken. Being just north of I-80, I limped on idle to the Bell’s Service at Silver Creek hoping there might be someone who could help. No auto mechanic, but a mechanic nonetheless offered to look at the problem. Out of his generosity he helped me solve what turned out to be a simple problem and got me on my way. He wouldn’t take any gratuity even though I offered twice. Who was he you might ask? He was an employee of Bells Service and if you are reading this you know who you are. I want to publicly thank him for all his help and having the tools to solve a problem of a motorist in need. He didn’t need to, but he willingly did. Thank you so much for just being you. We can all learn a lesson of how to treat out fellow human beings from even this kind gesture. I wanted to send a note of thanks to our community for your ongoing support of the Christian Center of Park City! Thanks especially for your patience and grace as we experience some major changes and potential inconveniences because of our construction process. As we have said previously, CCPC is going through some exciting changes related to our construction and remodel plan. We are fully into our construction phase now, with some major demolition going on in the back of our property. Parking is now extremely limited and it will take extra time to get in and out of our donation area which is still open and accepting clothes/furniture/household goods, etc. Just be prepared to drive carefully. We have been exploring options of moving our donation area offsite, but have not found a suitable location for that yet. We will certainly send an update on that when and if we do. For now we will continue accepting donations at our current site. In the meantime, pardon our dust and the potential long wait in the parking lot, but exciting days are ahead! If you are shopping at our Thrift store or coming to our Food Pantry, we encourage you to park across the street and take the bike/walking path underneath Deer Valley drive and approach the building that way. And of course our boutique is at our new location at the former Riff’s Coffee Shop at 1205 Iron Horse Drive. On the positive side, because of the warm weather, we have been making great progress and we are moving full-steam ahead with construction on our new building and remodeling our current building. 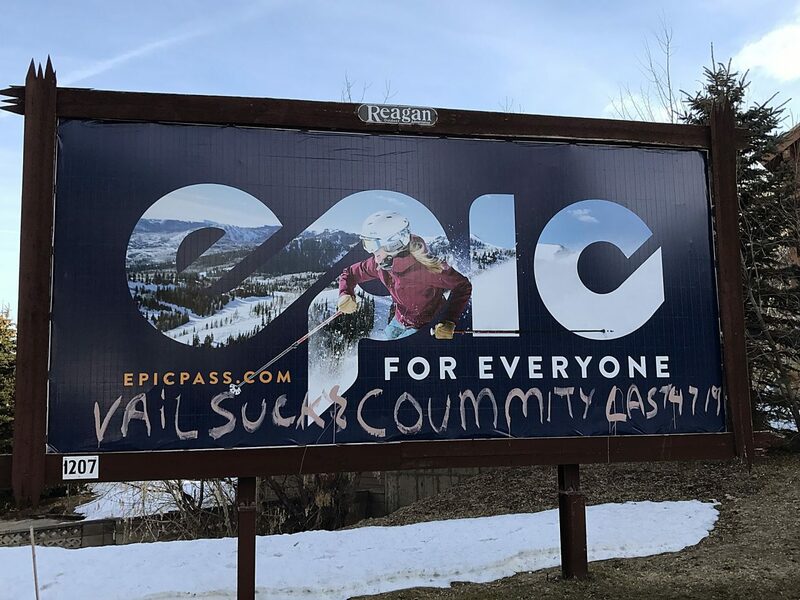 Finally, I wanted to say one more time how thankful we are for the great support that not only we received at CCPC during Live PC Give PC, but for the tremendous outpouring of support for all of our various nonprofits here in Park City! We live in a truly great community! The fact that Rocky Mountain Power wants to raise rates for customers with solar on their roofs (or those who generate from wind, or any “Net Meter” customer basically) flies in the face of the interests of consumers. Those of us who spent time and money to set up (or want to set up) alternative energy production are being discouraged strictly so RMP can squeeze more profit from it’s “customers.” Even if you deny climate change, you can’t deny that the rate increase for future solar net meter customers would effectively kill the rooftop solar industry in Utah, putting hundreds of local people out of work. In addition, this rate change effectively would kill larger community solar projects that the town and counties were planning. Under the old structure, these projects would pay for themselves quickly, providing for lower taxes to locals who no longer need to pay large utility bills for their towns or counties. Solar is better for the environment, and the solar installation industry provides stable jobs for Utah residents. RMP’s rate hike only serves shareholders and smacks solely of greed. Have you ever been bullied? Have the memories stuck with you for as long as you can remember? Bullying needs to end, it is the cause for many thoughts of depression and sad childhood memories. Any human being can be bullied at any point in their lives, but bullying is most commonly seen in teens. As a child, most kids don’t care about what other people think or have to say about them. But as we get older we begin to put more thought into things such as appearance, smells, etc. And we might get jealous or envious of one another, and from these feelings come bullying. Bullying is not the way to resolve a problem, if anything it is a way to begin another. As we grow older we begin to come back to a lot of those same childhood thoughts. That it doesn’t matter how you look, who you hang out with, nor what you do, as long as you’re happy doing it. The memories of bullying stay with those who have been affected long after the actual date when the bullying has occurred. Therefore, if people were to be more considerate of one another, bullying could come to an end. It’s up to ourselves to make the difference. We need to work on clean air solutions as a community and focus on creating opportunity and benefits while transitioning away from fossil fuels to renewable energy resources. Thank you so much for providing a voice for our community. The first sentence of a guest editorial by Adilene Juarez reads, “Being Latino is a beautiful thing.” I have to strongly agree, and this is coming from an old white male. I was in the Park City area in the early 1970s when the Hispanic community had not yet become part of our social fabric. As the Latino community grew throughout the years, it was obvious to me at the time that this was a very good addition to our town. I was lucky to be born into a family that was colorblind. Ethnicity and color of skin were not the measures of a good person, but what was inside the person that mattered. Given the recent political trauma, I feel these comments need to be made and I would like to share two stories with the readers. The first story goes back a few decades in the Napa Valley wine country. I was a mechanical grape harvester for some of the wineries and worked side by side with Latinos. When I lived there, I sensed a subtle discrimination whenever I went to the store, a restaurant or other public place. The Latinos were greeted with big smiles and kind comments, myself, not so much. It took me a while to understand that this was because the Latino population was never late for work, worked very hard and with pride. They were perceived as the rich and beautiful culture that they are. I enjoyed working with people who had a great sense of humor, were kind to each other … and me. The second story was a day spent walking my dogs near Treasure Mountain Junior High School. It was P.E. for one of the classes and a run around the track was the activity. I watched a young Latino man in the lead, well ahead of the rest of the group. He looked over his shoulder to see the others behind him, a look of glee came over his face and he started to run even faster. I couldn’t help but let this be a metaphor for this young mans life… he was in the lead and might eventually become someone’s manager in later life. Back to Adeline, the points she makes in her letter couldn’t be stated more eloquently and based on this, I suspect she has a bright future ahead of her.